Amazing Saint Craft & Gift! Every now and then you fall in love with something that is just so amazing that you have to share it! Well a few weeks ago Catholic Icing came out with this beautiful A-Z full color Saint Set – it is just gorgeous! I fell in love and purchased the set right away it was on sale for $6 at the time but is still only $8. I had it printed in glossy card stock paper so that we didn’t have to wait for 26 toilet roll holders. Let me tell you they printed beautifully. They are so beautiful we couldn’t keep them to ourselves so we printed them and have given them as a little surprise gift to our godchildren as well as some close friends. Everyone whom has received them has glowed as they received them! I am sure people have even better ideas then I do – so if you do please share them on the comments below! A couple weeks ago I was apart of a little discussion on Facebook. 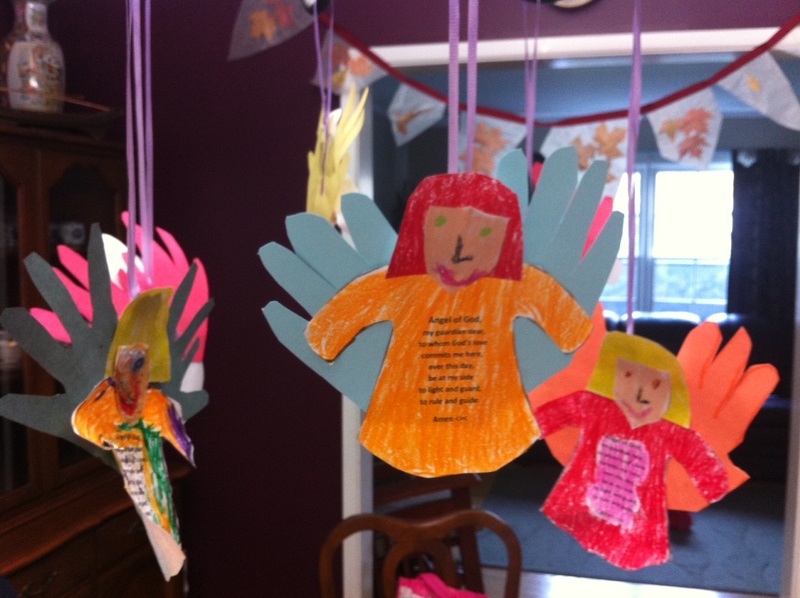 Another women had asked ‘how do you celebrate the feast of St. Michael”, to which I replied a craft, prayers and a tea party. 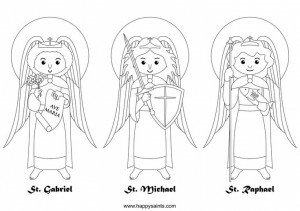 I laughed as I posted it and it turned out my post caused much laughter as people thought about brave St. Michael being celebrated in such a way. But I was not alone in celebrating the feast with tea and angel food cake. My kids love celebrating feast days – we are blessed with a faith that has so many wonderful saints and traditions to celebrate. 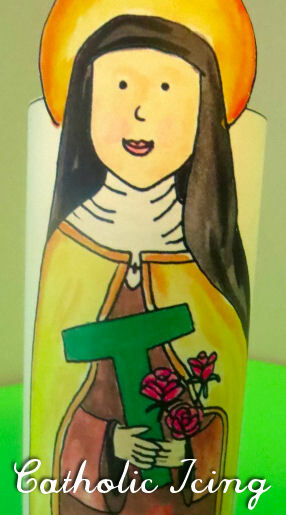 You could celebrate everyday is you wanted to really with the list of saints. We are just so blessed. May your family have a blessed and joy filled feast of the Archangels!